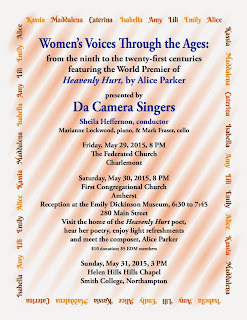 Spring concert by Da Camera Singers features world premiere of “Heavenly Hurt” by Alice Parker, words by Emily Dickinson. 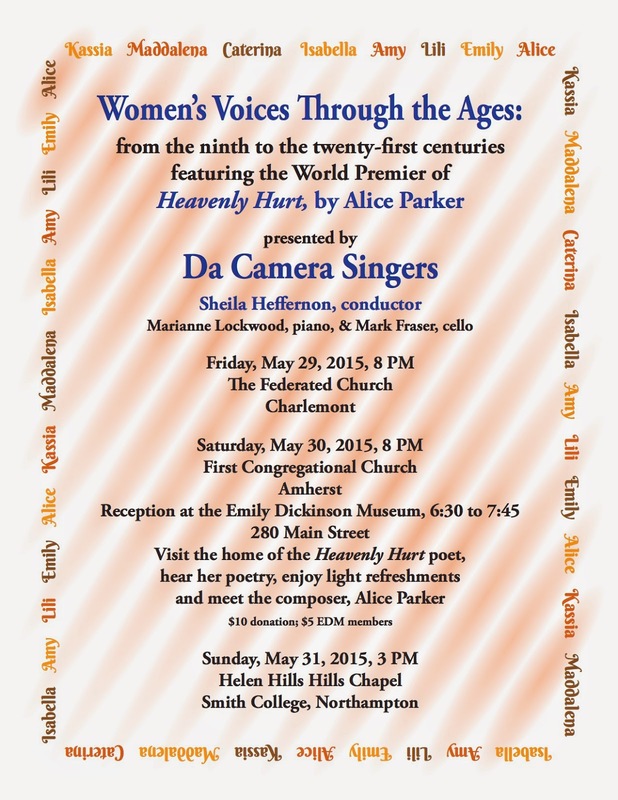 Performances are Friday, May 29 at 8 P.M. at the Federated Church of Charlemont; Saturday, May 30 at 8 PM at the First Congregational Church of Amherst; and Sunday, May 31 at 3 PM at Helen Hills Hills Chapel on the Smith College campus. Donations appreciated.